Anytime you read about a hot new visualization or analytics startup promising the moon, you’re also seeing the results of what Tableau has sown in terms of the user experience. Many of those same companies will be quick to tell you how limited Tableau’s capabilities are. It’s memory-bound, it doesn’t have a database, it’s not available in the cloud (or on the Mac operating system), it can’t do predictive analytics. All true. Of course, if it raises the kind of capital it expects to by going public, it can build and buy a lot of those capabilities. If pricing stays flat all day Friday, Tableau stands to make $155 million from its 5 million shares. Previous estimates had Tableau’s market cap at around $1.7 billion at a price of $29 per share (the company’s S-1 filing is available here). If investors have really bought into the company and the concept of a data-driven world, then who knows. Machine-data expert Splunk wnet public in 2012, flying the big data banner, and saw shares peak at 91 percent above its original asking price of $17. I’m not suggesting Tableau is the biggest name in data, or even that it will some day become it. This next-generation analytics field is very young, with startups and larger vendors alike sometimes competing against themselves to win wholly new accounts than trying to displace legacy vendors within large enterprises. And every month, it seems, I come across some new startup that was built with the same principles in mind as Tableau, but with the advantage of having today’s best practices baked into its software. But Tableau definitely commands a lot of the mindshare. How it fares as a public company could be a strong indicator of just how powerful the data movement is, and how well it capitalizes on a new influx of cash will determine how long it stays on the top of customers’ minds. This post was updated at 7:01 p.m. to include previous estimates of the company’s market capitalization and a link to its S-1 filing. Hey Derrick, nice write up, but maybe it’s been a while since you’ve looked at Tableau? “itâ€™s not available in the cloud” – Sort of not true. From what I hear Tableau soft launched its cloud version last month, and has had Tableau Public as an offering for years. “All true” – Sure about that? I think it’s a shades of gray argument. Tableau does a lot of things (although not truly cloud yet), but still might not replace other products (e.g., SAS or bigger data stuff) for a lot of users. I expect it to expand its feature set, though. Chris, that’s a fair point, which is why I think we’ll see Tableau expand post-IPO. Either way, though, it’s one of the poster children for the data movement, if not the big data movement. Also, I’m not going to track this all day, but as of 8:03 a.m. PT, DATA is trading at over $48 per share. Here’s the challenge…data visualization is remarkable when put in the hands of business experts, but there’s a much large problem that standalone software like Tableau doesn’t solve…it can’t bring the data and it doesn’t offer a way to predict what will happen next, meaning users have to integrate with data sources and then try to find that ‘needle in a haystack’ every time. Once the needle is found, a visualization tool by itself won’t help the user to take action on the knowledge they gain. Big data is a platform, not a tool. I know nothing about whether or not the valuation is much too high or not (although I can’t wait to see what it does), but Tableau is certainly not a bunch of pretty charts. They are rapidly growing so the bottom line doesn’t look great, but sales are soaring for a reason. Tableau offers a good product and is quick to involve the end user in changes. (Just read about all the new features released in version 8 – most of them came from customer requests generated on the Tableau ideas board). 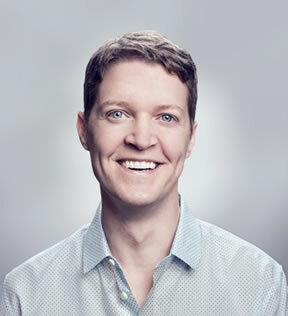 I think Tableau is staying (at least I hope they do), but it will be interesting to see how the company changes once shareholders have more say in the ways things are run.